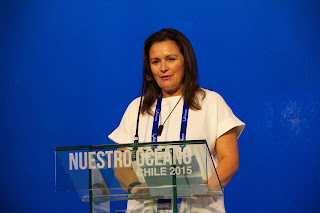 Ann Singeo is Chair of The Island Voices. Ann received her education from the Western Oregon State College and the University of Texas. 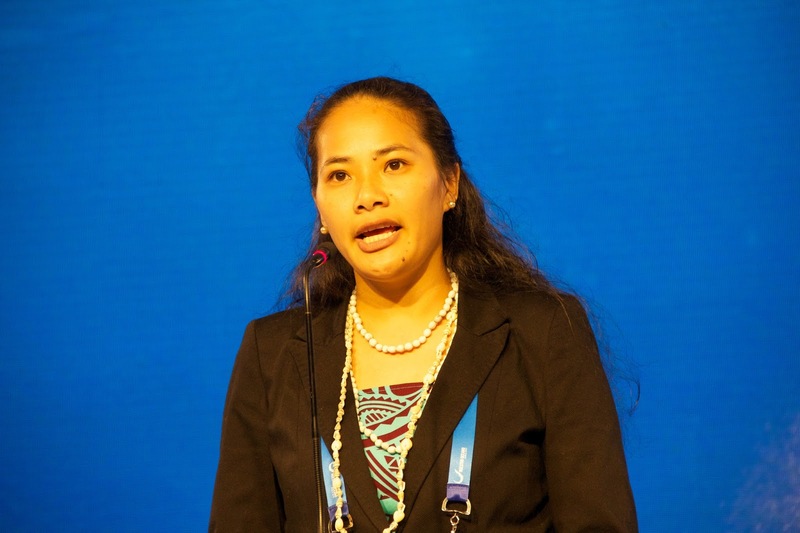 After spending a decade working for Palau Primary Health Care in the Palau Ministry of Health, Ann decided to follow her passion and dreams in conservation work based on indigenous knowledge and became a founding member of the Ebiil Society. Ann served on the Board from 2007-2010, and currently serves as the executive director. She dedicates her time to working with the board of directors to build and strengthen Ebiil Society as an organization with an effective grassroots approach to conservation work. Ann resides in Ngerang, Melekeok, with her husband Lyman, and her children, Kamen, Marli, and Kimi in the Republic of Palau. Russell Amimoto was born on Kaua’i, Hawai’i, and grew up on the island of O’ahu. He is an accomplished waterman, sailor, fisherman, surfer, and canoe builder. He has dedicated his life to caring for and learning from the ocean. Russell first sailed on Hokule’a, a Polynesian double-hulled voyaging canoe, when he was 16 years old, and has been a member of the Polynesian Voyaging Society (PVS) ever since as a crew member, watch captain, and now, captain. Through PVS, he has voyaged around the Main and Northwest Hawaiian Islands, the Marquesas, Mangareva, Pitcairn, Majuro, Pohnpei, and Palmyra. He has led extensive dry dock projects for Hokule’a, including making the steering blades for the canoes Malama Honua (to care for our earth) Worldwide Voyage. Russell works to malama honua in his professional life as well. As the Marine Monitoring Community Coordinator for The Nature Conservancy of Hawai'i, he assesses fish and coral health around the state, shares monitoring results with local communities, and helps these communities develop their own marine monitoring programs. This work helps Hawaiian communities care for their own marine resources. Russell is proud to pass along what he’s learned from his work with The Nature Conservancy and voyaging with PVS to his two sons, and to help guide the next generations in malama honua. Diego Benavente is a leader from the island of Saipan in the Commonwealth of the Northern Mariana Islands. He served as the lieutenant governor from 2002 to 2006 and served in the House of Representatives for eight terms from 1988-2002 and 2008-2010, including three terms as the Speaker of the House. As a legislator he helped pass legislation that created five marine protected areas and banned the use of gillnets, scuba spearfishing, and the trade of shark fins. 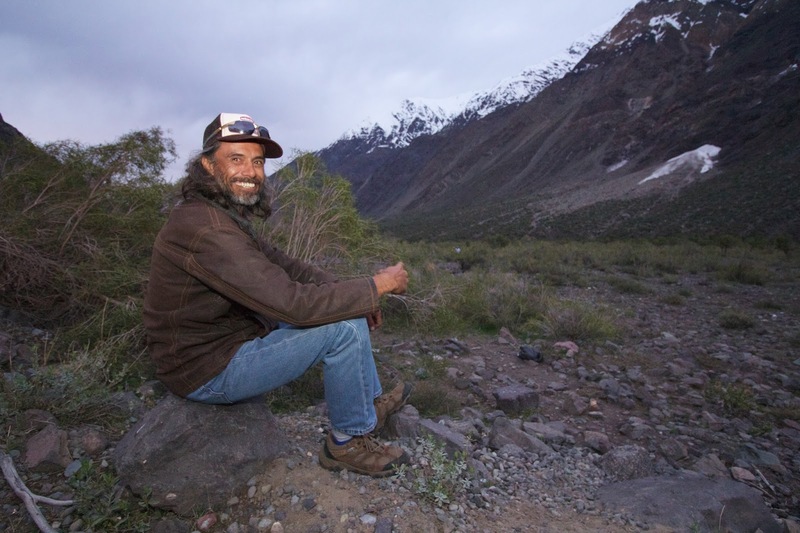 Diego is a long time fisherman who learned his trade from his father and grandfather. He currently serves of the board of the Micronesia Conservation Trust. Today Diego spends as much time as possibly fishing with his wife Vicky. 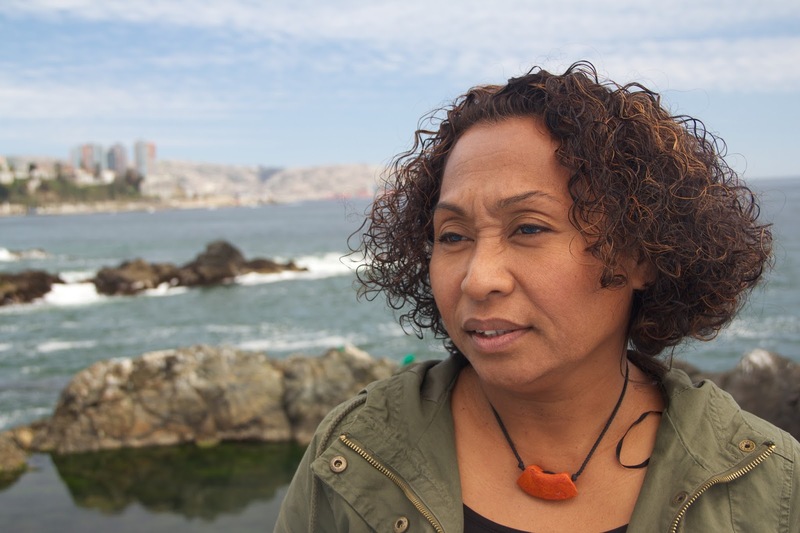 Shelley Campbell is of Ngapuhi tribal descent, has 4 children, and lives on Waiheke Island, New Zealand. Shelley is chief executive of the Sir Peter Blake Trust and responsible for implementing its leadership development and environmental programmes throughout New Zealand. Before joining the trust in 2010, Shelley oversaw business cases for the Minister of Health's primary health care reforms in Auckland and is the former chief executive of Waikato Primary Health. A board member of Te Pou, Halberg Disability Sport Foundation, and Cancer Council NZ, she is also a regular speaker on Next Generation Leadership and mentors individuals with leadership aspirations. In 2007 Shelley received a Sir Peter Blake Leadership Award - the first person of Maori descent to win the award. Larissa Hale was born in Mareeba, Queensland. Her family moved to the Cape Flattery Silica Mines where both her parents worked for the mining company. Her family is very large and is from Cape York. Larissa is a painter, inspired by her mother who is also an artist. Now that she is married with small children, the family often sits together to do their paintings or crafts. Yuku Baja Muliku is a non-profit indigenous corporation with an Indigenous Ranger Program, Junior Ranger Program, Turtle Rehabilitation and Hospital, and Indigenous Art Gallery. The Kuku Bulkaway Indigenous Art Gallery, means “Telling our Stories”. The company was established in 2006, and started with a basic conservation and land management program in 2007. In 2010 it secured Working on Country Funding, which gave it the opportunity to hire more traditional owners to return and work on country. 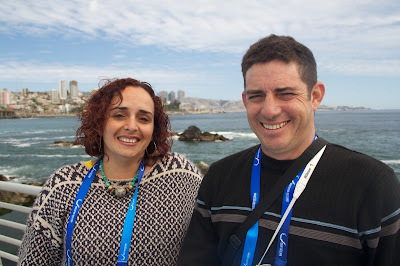 Alberto Hotus is the President of the Council of Ancients on Rapa Nui (Easter Island). The Rapa Nui Elders Council is a traditional organization created in the 1970s to advocate for land rights of the Rapa Nui people and strengthen the island’s native culture. Alberto has also served as Mayor of the island. Alberto is particularly interested in helping preserve the traditional language of Rapa Nui and its relationship to other Polynesian languages. 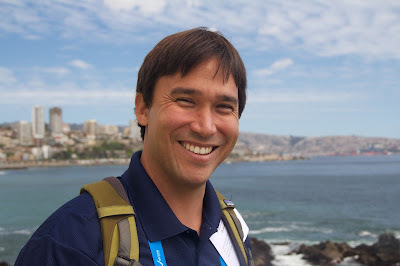 Alberto has published studies on the Rapa Nui language and its etymology along with a genealogy of Rapa Nui families from the time the island was first populated until the current generation. Tiffany Laitame was born on Rapa Iti in the Austral Islands and grew up on Tahiti in the Society Islands, both in French Polynesia. She has had a lifelong interest in the natural world, with her early experiences guided by her mother and the elders of Rapa Iti. In 2011, Tiffany created an environmental association in Rapa Iti called Raumatariki. She currently serves as the organization’s vice president. The goals of Raumatariki are for the indigenous community to protect the terrestrial and marine resources of the island in order to leave a legacy of conservation for future generations. Currently living in Tahiti, she tries to return home to Rapa Iti as often as possible to reconnect with family, local traditions, and nature. Simon “Kuchy” Pakarati is a Rapa Nui fisherman who has held leadership roles at the Hanga Piko Fishing Syndicate as well as in local marine conservation initiatives. Before his work at the syndicate, he had a lengthy career as a flight attendant with LAN Chile, where he was an employee of the year. Joe is an elder fisherman, as well as former Chairperson of the Ebiil Society. The Ebiil Society was established in 2005. Its mission is to preserve and conserve the natural and cultural resources of Ngarchelong State to provide for sustainable livelihoods for the people of Ngarcheolong and the Republic of Palau. 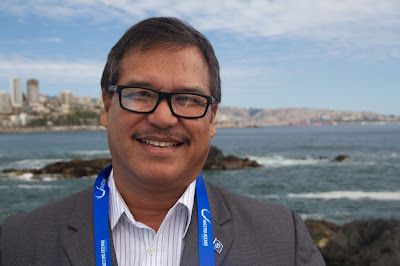 He and is currently campaigning to improve the management of near shore fisheries and tourism areas and was an outspoken supporter of the Palau National Marine Sanctuary. Joe comes from a large family. With his brothers he established one of the first, and longest operating fish markets. Joe is greatly respected for his knowledge of the ocean. It has been said that if “You name the fish - Joe will take you to the fish”. 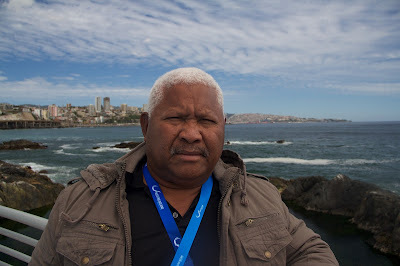 Jean Claude Terriierooiteria is a member of the Tahitian Academy of Languages and an assistant professor at the University of French Polynesia, where he teaches Polynesian language, culture, and civilization. He is also the president of Fa'afaite, the Tahitian Voyaging Society, whose mission is to organize and develop traditional travel and educate communities on the need to preserve the environment by taking into account traditional achievements. 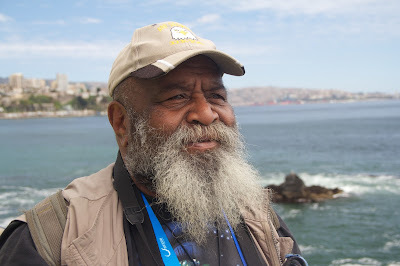 He is also the the vice president of Tainui (Friends of Hokule'a), which supports the reception of traditional canoes from all Pacific Islands and the dissemination of the message of Malama Honua (Take Care of the Earth) conveyed by Hokule'a all over the world. He helps organize voyages all around the Pacific Ocean with their traditional double canoe, an exact replica of an ancient Tahitian canoe. He was the CEO of Tahiti Nui Telecom 2000-2015 and was responsible for international communications in all of French Polynesia. He recently retired, but manages to keep himself busy. Ito Waia is a self-taught visual artist, painter, sculptor and photographer. He is Secretary of the Board of clans of the tribe of Azareu Bourail, New Caledonia. 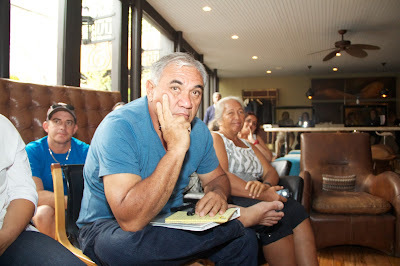 He is also a member of the Management Committee for the western coast area of the New Caledonia World Heritage area, The Lagoons of New Caledonia: Reef Diversity and Associated Ecosystems, and Secretary of "GDPL MWE Ara," which coordinates the development of Déva and Bourail in connection with the various local communities. 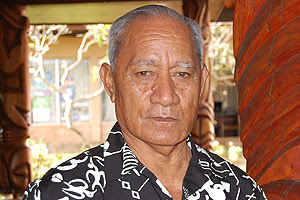 Guy Hanohan Naehu has lived his entire life on the island of Moloka’i and has spent most of his adult life advocating for the rights and wishes of the people of Moloka’i. He is the owner of Keawanui Fishpond, a 60-acre, 800-year-old sacred and ancestral fishpond. 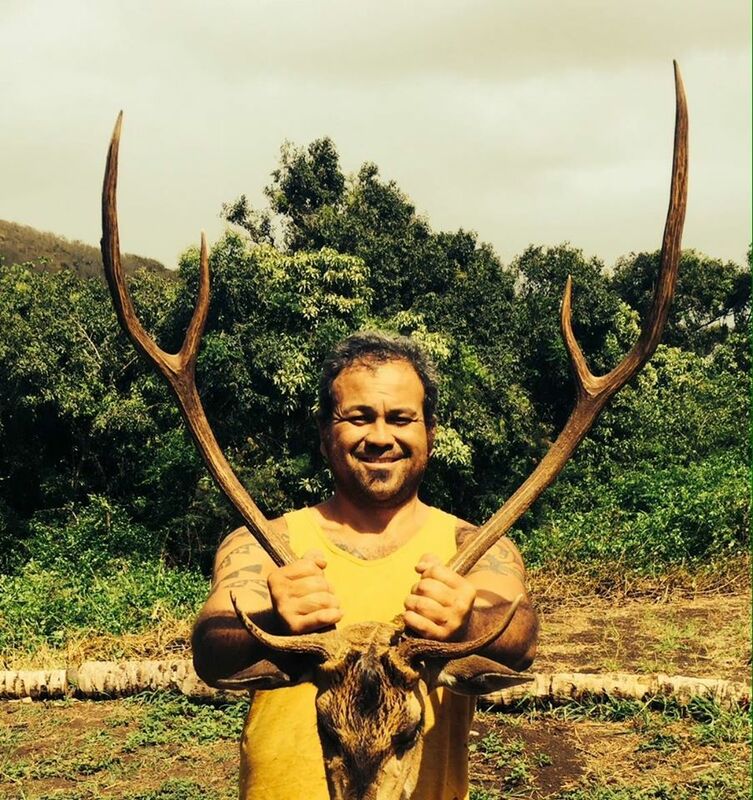 Mr. Naehu is one of five representatives for the island of Moloka’i who serve on the Aha Moku Hawaiian Resource Management Councilthe Hawaiian system for management of its natural resources, based on the concept of `ahupua`a, the traditional land and ocean tenure system of Hawaii. Mr. Naehu has welcomed a group of Rapa Nui fishermen to his fishpond for a cultural exchange to discuss the connections between Polynesians and different fishing practices. 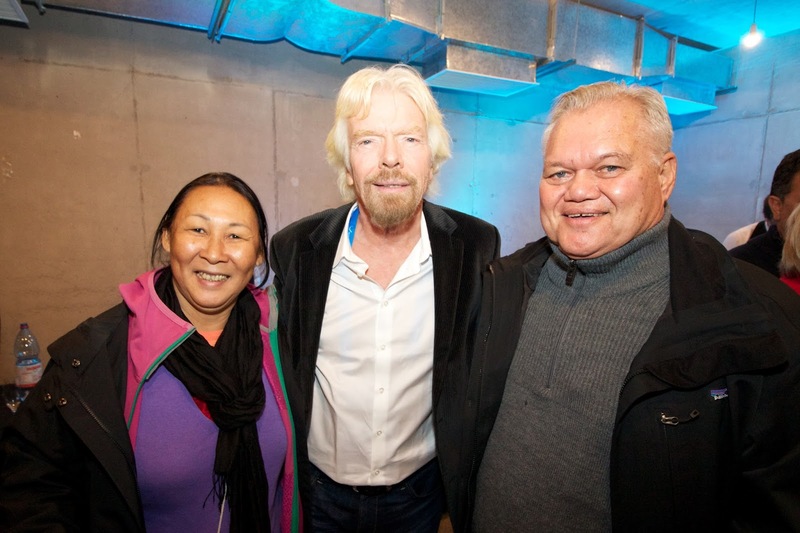 In turn, the Rapa Nui invited him to Easter Island to discuss marine reserves and indigenous peoples for large conservation projects.